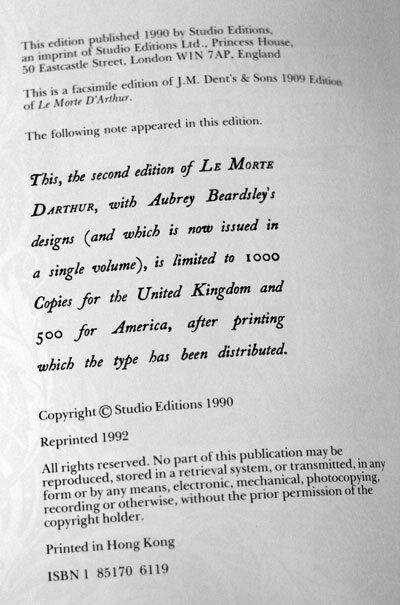 Publisher: The Studio Press, 1992. 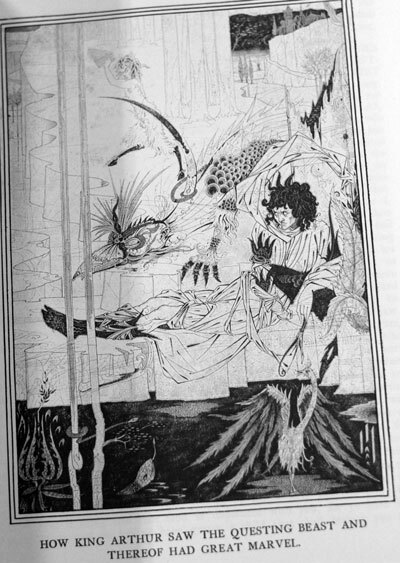 Facsimile of 1909 edition. 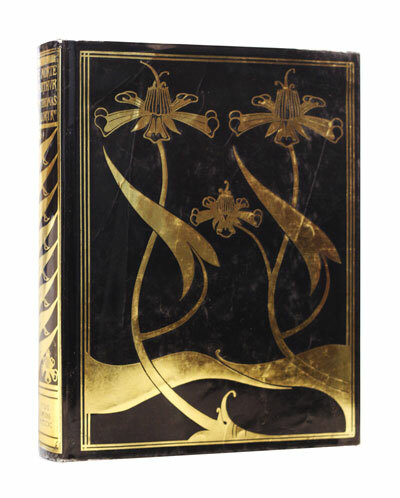 Condition: Hardcover, cloth, with dust jacket. Dust jacket has some folds and surface wear, but still bright. Book itself is in very good condition. Clean interior. Huge book with hundreds of illustrations. 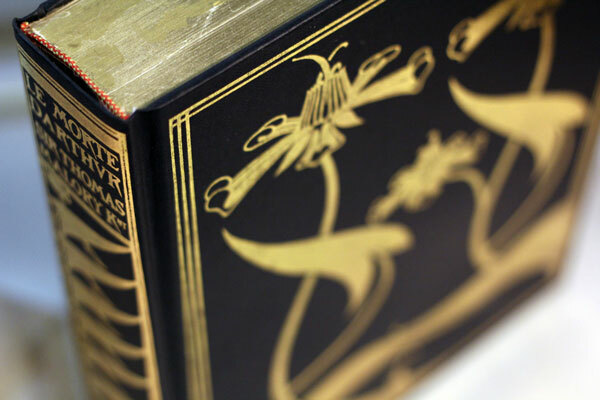 This is a facsimile reproduction from 1992 of the famous JM Dent version of 1909, which is now very rare. 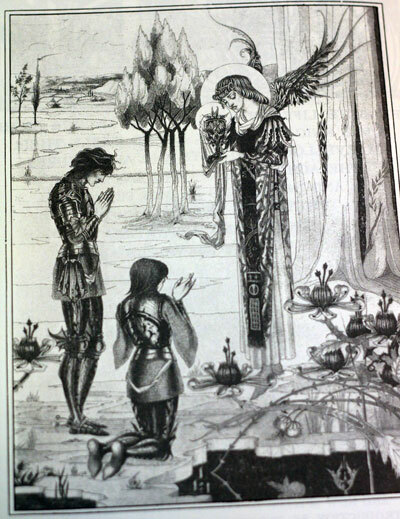 With hundreds of decorations by Caxton and Beardsley. 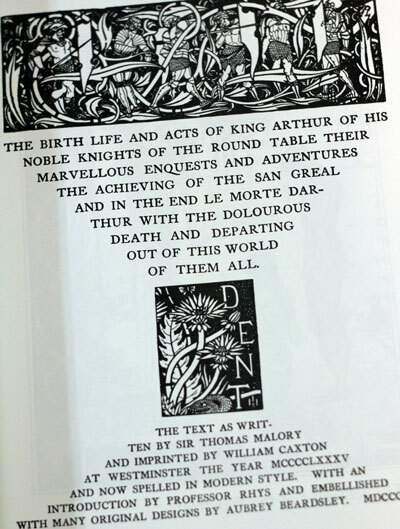 Full title: The Birth Life and Acts of King Arthur of His Noble Knights of the Round Table their Marvellous Enquests and Adventures the Achieving of the San Greal and in the end Le Morte Darthur with the Dolourous Death & Departing out of this World of Them All. 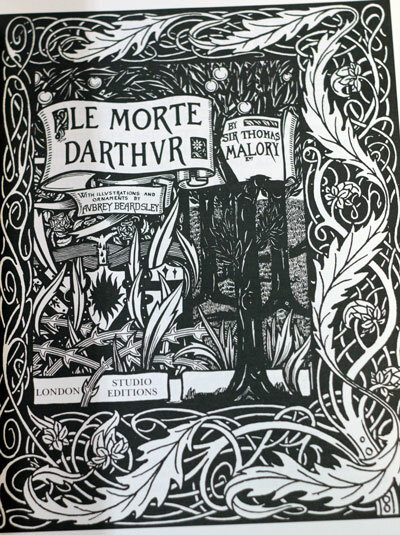 Le Morte d’Arthur (originally spelt Le Morte Darthur, Middle French for “the death of Arthur”) is a reworking of traditional tales by Sir Thomas Malory about the legendary King Arthur, Guinevere, Lancelot, Merlin and the Knights of the Round Table. Malory interprets existing French and English stories about these figures and adds original material (e.g., the Gareth story). 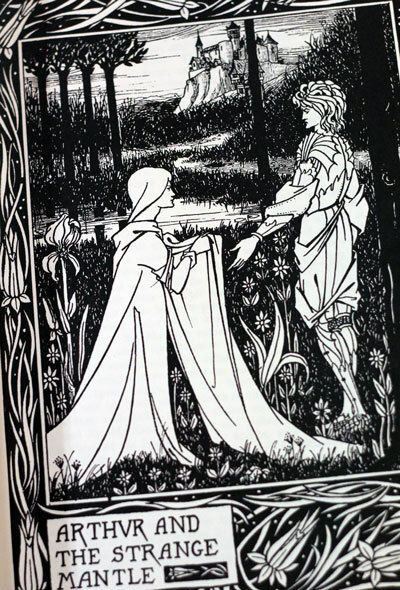 Le Morte d’Arthur was first published in 1485 by William Caxton, and is today perhaps the best-known work of Arthurian literature in English. 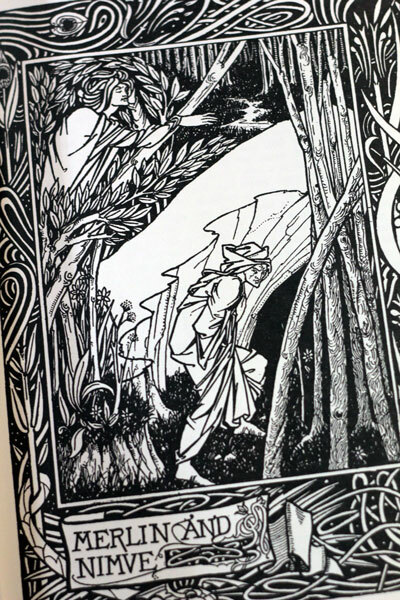 Many modern Arthurian writers have used Malory as their principal source, including T. H. White in his popular The Once and Future King and Tennyson in The Idylls of the King.